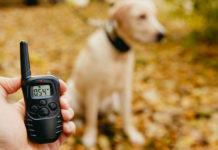 More and more dog owners are turning to clicker training. 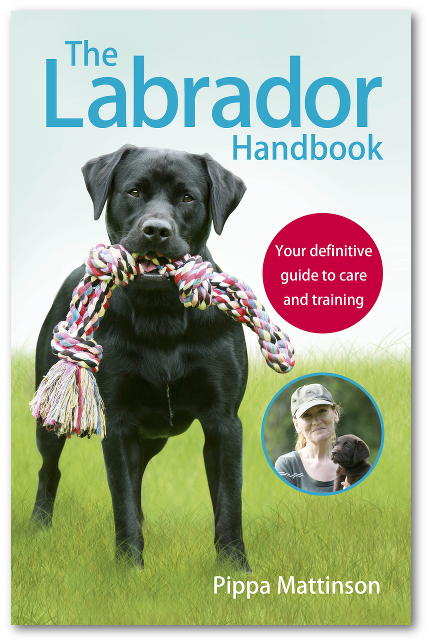 Here are ten great reasons for you to start clicker training your Labrador today! Clicker training is done entirely without punishment. [wp_ad_camp_5]Your Labrador’s behaviour can be cleverly manipulated because the click lets the dog know precisely what it was you liked him doing. Each time you click, you follow the click with a tiny piece of food. Most of us don’t want to punish our dogs, and with clicker training, you don’t have to. Clicker training is a lot of fun for your dog. Dogs quickly learn that clicker training is a game and for once, it is a game that the dog can control. 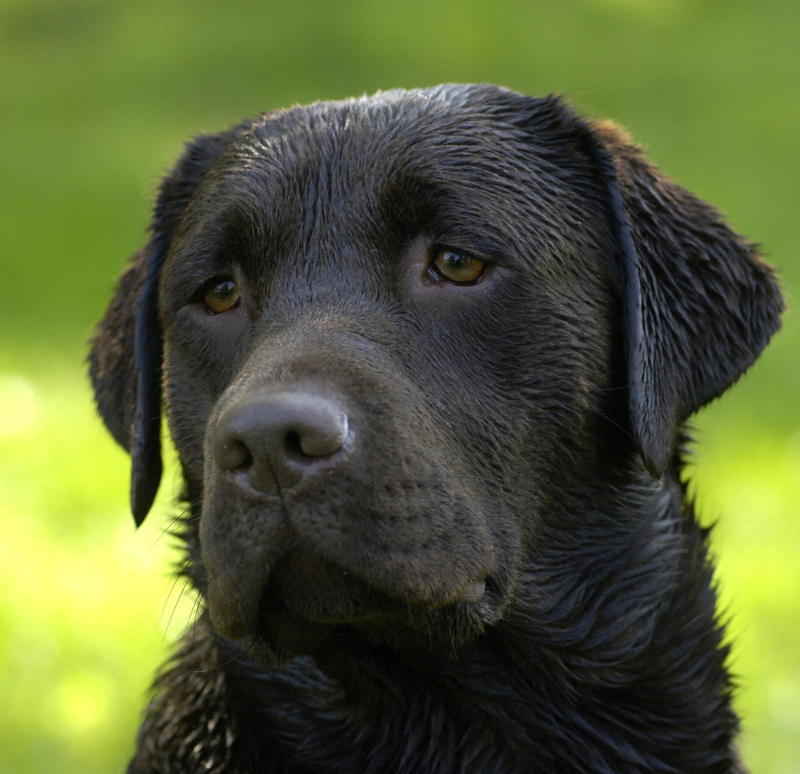 The dog learns to control the flow of rewards from you, by offering behaviours that you like. He knows what you like because the click tells him. Your dog will be delighted to see you get out your clicker and treats. He’ll love working out what you want him to do and will always be ready to join in your games. He’ll still be learning, but it will feel like playing. What could be better! Because there is no punishment involved whatsoever, not even a cross word or look from you. [wp_ad_camp_2]Both you and the dog can relax. He doesn’t have to worry about ‘getting it wrong’. You don’t have to worry about him getting it right. There are some great benefits to creating a stress free environment for your dog to learn in. In particular, you’ll find that establishing new behaviours is faster, because your dog is willing to keep trying new things. 4 Clicker training is fun for you! Because there is no stress or punishment involved, clicker training is as much fun for you, as it is for the dog. And the better you get at it, the more you will enjoy it. The skills involved are quite easy to learn and you’ll find the rapid progress you make very motivating. You’ll finish every session wanting more, and will look forward enthusiastically to the next one. Traditional training methods are not suitable for tiny puppies, but because clicker training is so gentle and because it is a ‘stress-free’ game, you can start whilst your puppy is still small. Clicker training is surprisingly calming, despite being ‘fast paced’ and fun. 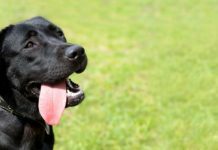 Many of us can feel very frustrated and irritated with a dog when a traditional training session goes badly. This doesn’t happen with clicker training. All the emphasis is on teaching and learning great behaviours, rather than on correcting or punishing bad ones. You will finish your sessions feeling relaxed and calm. Nothing teaches good timing quite like clicker training. You will learn to observe and mark tiny changes in your dogs behaviour and this valuable skill will stand you in good stead in the future. Clicker training tends to be addictive – once you start, even with something very simple, you’ll want to learn more and to keep practicing. You’ll find yourself becoming a better trainer without really trying. Teaching tricks is easy with clicker training. 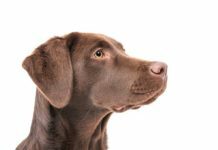 You can’t force a dog to carry out behaviours that aren’t natural to him, or that involve complex chains of different behaviours. So, if you want to teach your dog to wave a paw, play dead, touch a ball with his nose, or fetch a toy, clicker training is the way to go. There is huge value in teaching tricks too, as they improve both your skill as a trainer, and your dog’s skill as a student. Clicker training is an excellent way to deal with grumpy dogs. 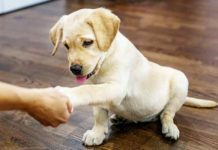 [wp_ad_camp_1]Physical contact with the dog is not necessary with clicker training, and nervous or anxious dogs respond quickly without the need to stress or worry them. Just the thing if you have taken on a rescue dog that is easily unsettled. Clicker training has an important role in assessing and treating behavioural problems. 10 Kids can clicker train too. Children can easily learn to clicker train, no strength or ‘dominance’ is required. For the same reasons, it is also a useful technique for anyone with reduced mobility. So there we are. Ten good reasons to get started with clicker training. How about you? Can you think of any more? Share your thoughts in the comments box below. Clicker training is actually a form of Positive Reinforcement Training, and the clicker itself is a tool that belongs to a group of tools known as ‘event markers’. 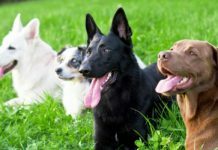 If you are curious to find out more about clicker training, and about how event markers are used, you can visit the Totally Dog Training website. 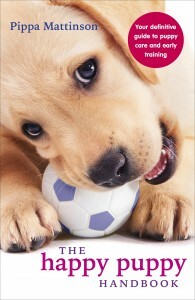 10 great reasons to start clicker training was originally published in October 2011. It has been completely revised, expanded, and updated. I have a 5 month old lab golden puppy that keeps getting and chasing the cats and will not leave them alone how can I use the clicker training to keep him from doing this?